Flyers highlighting the free medical services by the Sai Medicare Camps next week in the Lomaiviti Group have been distributed to the islands of Ovalau, Koro and Gau. 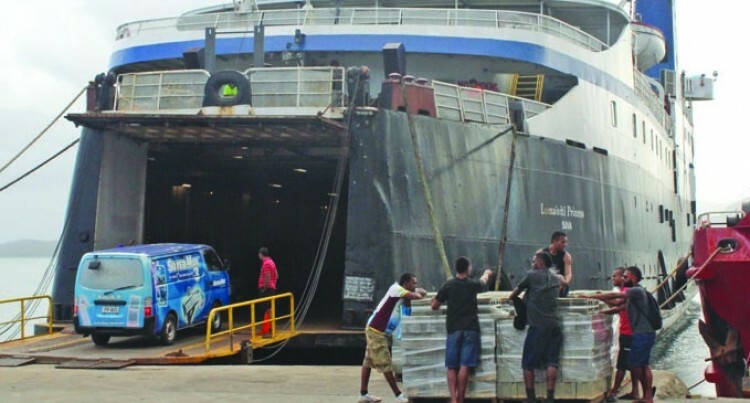 “The flyers (in English and iTaukei languages) were distributed in Gau today (yesterday),” said volunteer transport provider George Goundar, Managing Director Goundar Shipping Services. According to Mr Goundar the flyers were already in Ovalau and Koro last week. Mr Goundar said the Lomaiviti Princess I was the best equipped of his five vessels to cater for the 95-member medical contingent providing free medical service in Lomaiviti from May 22-25. Mr Goundar said the crew of the vessel including galley staff have been organised to serve the vegetarian medical volunteers during the duration of their stay on board. Registration and consultation is from 8am to 4pm in Ovalau for two days on Ovalau: May 22 at Delana Primary School and then at Bureta Health Centre, Bureta Village on May 23. The volunteers made up of overseas and local medical staff will then move to Koro Island at Nabasovi District School on Thursday, May 24. Their last stop is at Navukailagi District School in Gau on Friday, May 25. Mr Goundar said the four-day trip would the first of its kind with a medical volunteer clinic free for the people. “This would be a prototype in preparation for more clinics in the future for the Lau group and other isolated island groups. “We will see how the trip goes with the Lomaiviti Princess I and the volunteers as far as adapting to the voyage and work as well as other scenarios like sea sickness and how to improve for the next mission,” he said.